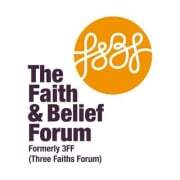 The Faith & Belief Forum exists to create good relations between people of different faiths and beliefs. Our vision is a connected and supportive society where people of different faiths, beliefs and cultures have strong, productive and lasting relations. We believe the future belongs to people of all beliefs, that religious intolerance has no place in society and that diversity adds value. We work towards our vision by implementing three interconnected and strategic goals. We were founded in 1997 as the Three Faiths Forum. Over the years our work has expanded to include people of all faiths and beliefs, both religious and non-religious. In 2018, we changed our name to the Faith & Belief Forum to better reflect this inclusive ethos. The Faith & Belief Forum has worked tirelessly for over 20 years to build good relations between people of all faiths and beliefs, and to create a society where difference is celebrated. We create spaces in schools, universities, workplaces and the wider community where people can engage with questions of belief and identity and meet people different from themselves. Enabling people to learn from each other in this way is often the most effective way to tackle ignorance and challenge stereotypes - and create understanding and trust between people. The Faith & Belief Forum’s inclusive approach welcomes everyone - whether you’re an Atheist, Buddhist, Christian, Hindu, Jew, Muslim, Zoroastrian, or identify with any other belief. Would you recommend Faith & Belief Forum?